EAGLEVILLE, PA, January 8, 2016–Streamlight® Inc., a leading provider of high-performance lighting, introduced a new intrinsically safe torch, the 3N ProPolymer® ATEX. 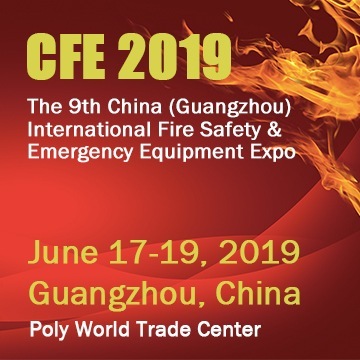 The new model features ATEX and IECEx safety ratings for use in Zone 0 environments faced by many industrial and safety professionals, first responders and other users. The alkaline battery-powered torch features three ultra-bright white LEDS. Exceptionally durable, with a weatherproof and impact-resistant body, the 3N ProPolymer® ATEX also delivers long run times. Three 5mm ultra-bright white LEDs in this lightweight personal torch deliver 70 lumens and 300 candela peak beam intensity in a soft flood beam pattern, over a beam distance of 35 meters. Ideal for detail work or for working at arm’s length, the torch offers 10 hours of run time to 10% of its initial lumen output. It is powered by three, “N” size 1.5 volt alkaline batteries. A push-button tail switch provides for momentary or constant on operation. The new model is constructed from an impact-resistant engineered polymer resin that features superior resistance to chemicals and solvents used in many industries. The torch also includes a face cap made of impact-resistant engineering polymer and an unbreakable polycarbonate lens with scratch-resistant coating. It features a wide operating temperature range of -20o F to 130o F (-20o C to 40o C to maintain its hazardous locations rating). The 3N ProPolymer ATEX weighs only 59.54 grams (2.1 ounces), and measures 13.33 centimeters (5.25 inches) in length. It is IPX4 rated for water-resistant operation and is also impact resistance-tested to 2 meters. Available in High Visibility Orange, it comes with Streamlight’s Limited Lifetime Warranty. The MSRP for the 3N ProPolymer ATEX is $35.00. 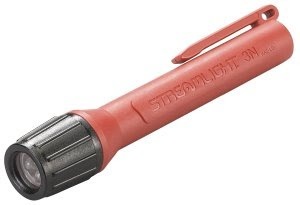 Based in Eagleville, PA, Streamlight, Inc. has more than 40 years of experience making tough, durable, long-lasting flashlights designed to serve the specialized needs of professionals and consumers alike. Since 1973, the company has designed, manufactured and marketed high-performance flashlights, and today offers a broad array of lights, lanterns, weapon light/laser sighting devices, and scene lighting solutions for professional law enforcement, military, firefighting, industrial, automotive, and outdoor applications. Streamlight is an ISO 9001:2008 certified company. For additional information, please call 800-523-7488, visit www.streamlight.com or connect with us on www.facebook.com/streamlight;www.twitter.com/Streamlight; and www.youtube.com/streamlighttv.